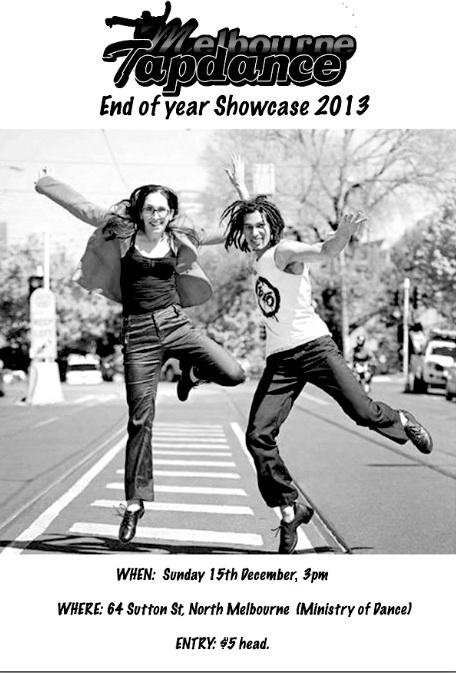 Come and enjoy a selection of works from the Melbourne Tap Dance classes and the Melbourne Tap Dance troupe! You will see tap dance interpretations to many styles of music in a relaxed performance space where you are seated close to the performers! Affordable for the whole family to come and watch!